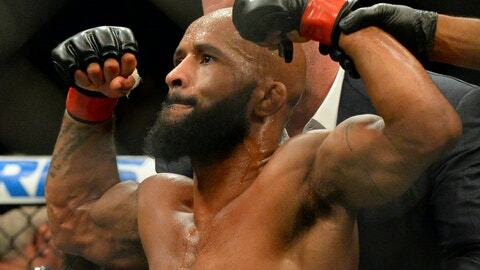 Check out results and highlights from the UFC Kansas City main card, all in one place. 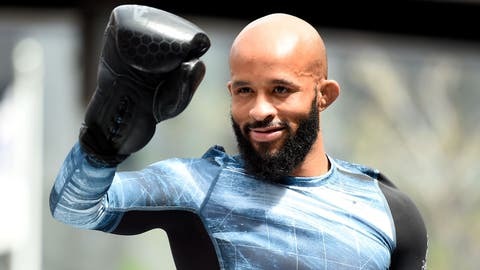 UFC flyweight champion Demetrious Johnson further made his case for GOAT status as he successfully made his 10th consecutive UFC title defense on Saturday night against Wilson Reis. Johnson outclassed Reis throughout the entire first two rounds before locking in a nasty armbar late in the third stanza. He finished with an absurd 135-18 advantage in total strikes. 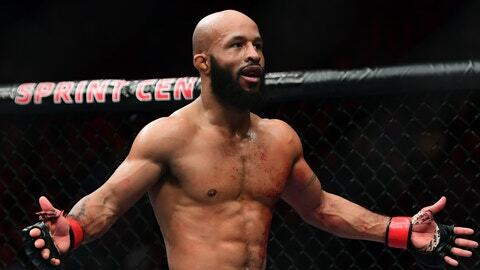 The win was Johnson’s sixth by finish during his ridiculous run as UFC champion. Rose Namajunas established herself as the next challenger to the UFC strawweight belt with her impressive finish of Michelle Waterson at UFC Fight Night from Kansas City. After an even first few minutes, Namajunas picked it up late in the first round as she landed a takedown and punished Waterson with elbows. Namajunas continued her momentum in the second round and eventually locked in a rear-naked choke that sealed her opponent’s fate. The win was Namajunas’ fourth in her last five fights. Robert Whittaker was supposed to be just another victory for ‘Jacare’ Souza en route to a shot at the UFC middleweight title, but the Aussie had different plans. Whittaker, who entered the bout riding a five-fight win streak, needed less than two rounds to stop Souza dead in his tracks via TKO on Saturday night. Whittaker’s speed and precision helped him become the first fighter in nine years to finish the Brazilian submission specialist. 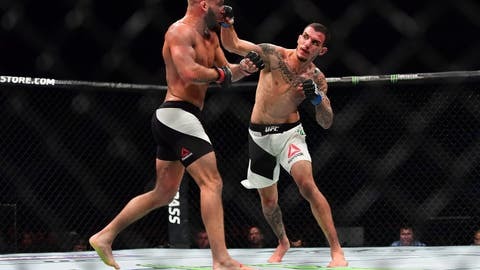 Renato Moicano earned the biggest win of his career Saturday night as earned a split decision over fifth-ranked featherweight Jeremy Stephens at UFC Kansas City. Moicano, who entered the bout unranked, is known as a grappler but was impressive on his feet throughout the fight. He only outstruck Stephens 76-73 in total strikes and 70-56 in significant strikes but he was much more accurate with his attack. Moicano landed 62 percent (76 of 123) of his total strikes and secured the only two takedowns of the fight while his decided speed advantage and effective footwork helped hold Stephens to just 32 percent (73 of 224).